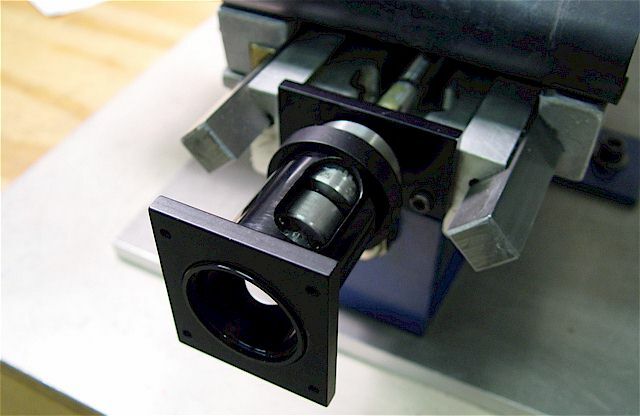 Each coupler was modified to include an 8-32 set screw (with a green nylon locking insert) that engages the shaft flat. The tips were diamond ground flat. The set screw will spread the slit so I tighten the clamping cap-head bolt first. 4.2v, 3A, 200 steps/revolution, 3.2mH. 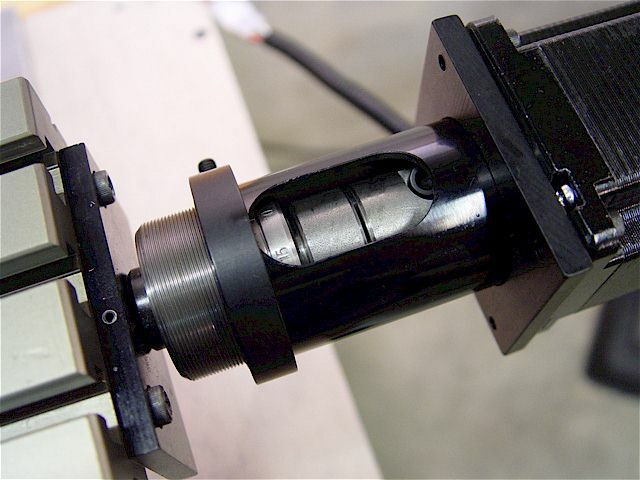 Dual 1/4" diameter shafts (with flats) are 7/8" & 5/8" long. 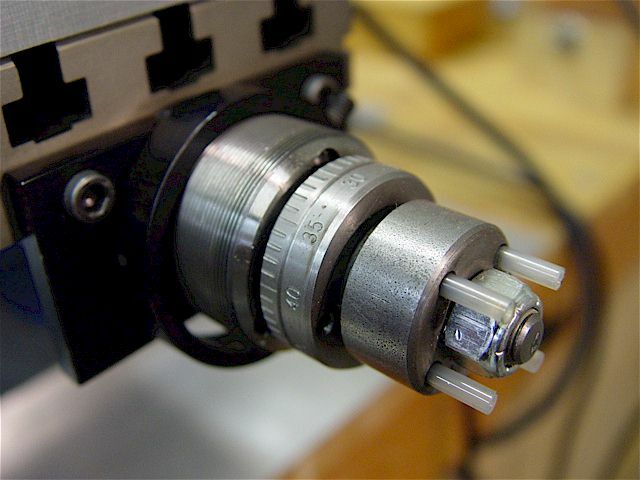 A Taig NEMA 23 stepper-motor mount screwed onto the lead screw boss. 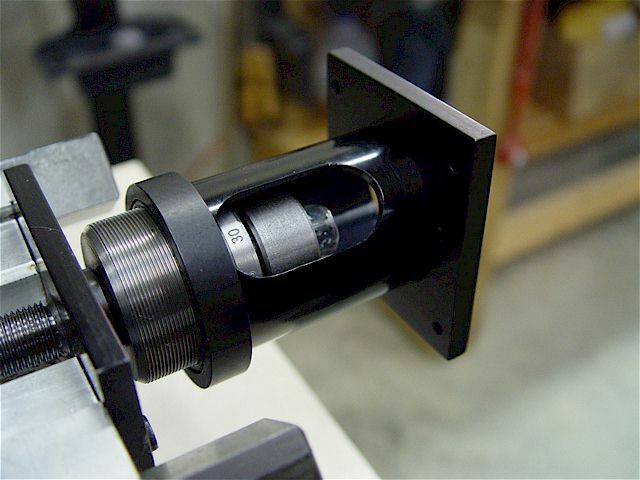 The ring clamps the split housing to grip the fine threads. 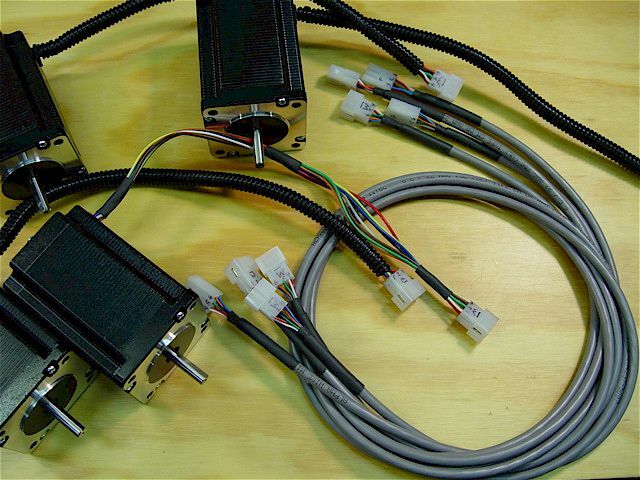 Eight-wire stepper motor leads with 6-pin (crimped & soldered) Molex connected cables. 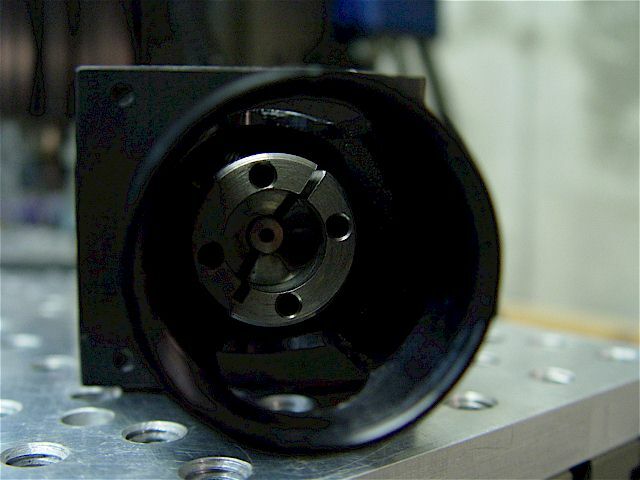 Black protective sheath removed from one of the stepper motors. Pieces of heat shrink hold the wire bundles. 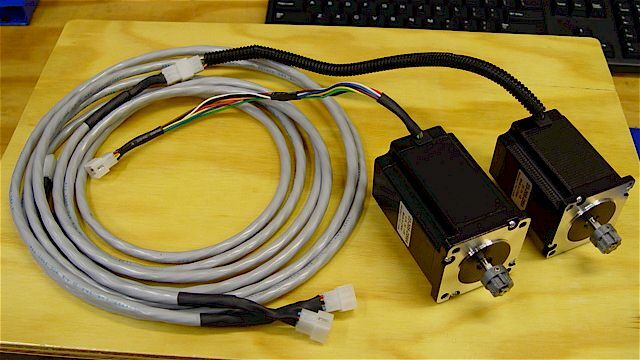 The stepper-motor connectors can be plugged directly into the controller box without the cables. Note the small gap between the couplers. Screw the mount in & out to adjust the coupler gap. Do not over tighten the motor clamping plate & ring. 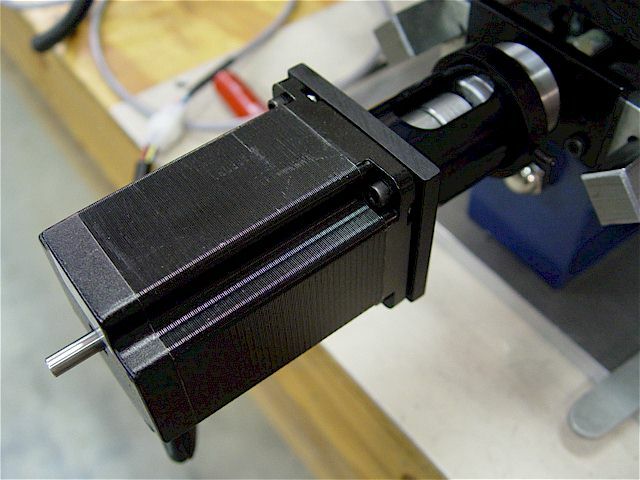 Connector & strain-relief clamp for the Z-axis stepper motor cable. 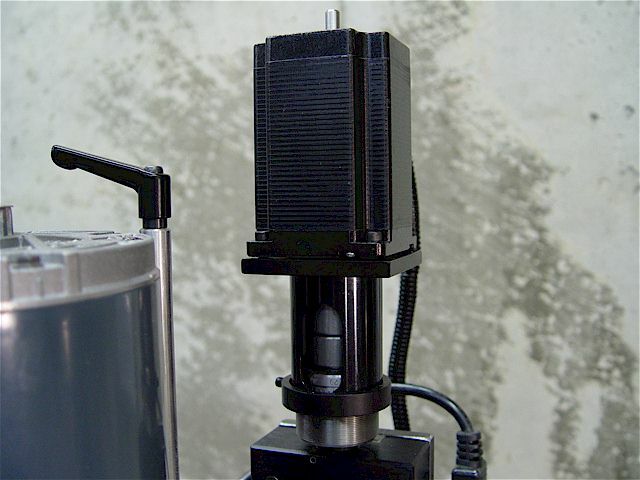 Mach3 stepper setup for all axes: 200 steps/motor rev x 4 (1/4 step) x 20 TPI lead-screw pitch = 16,000 steps/inch. 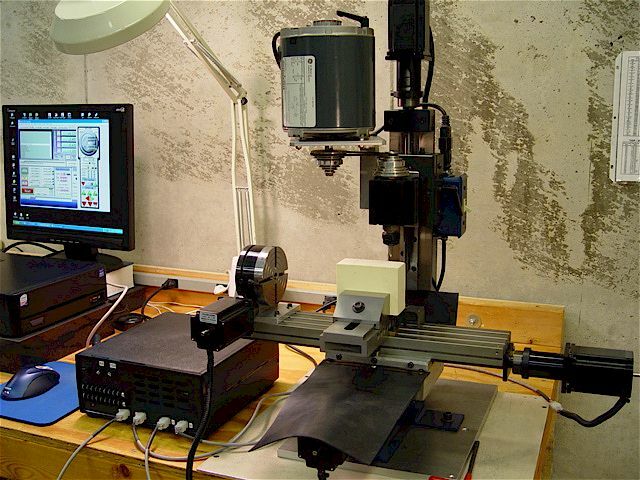 fast transition speeds when considering the relatively short distances involved & working in metal on this machine. this & their regular table. 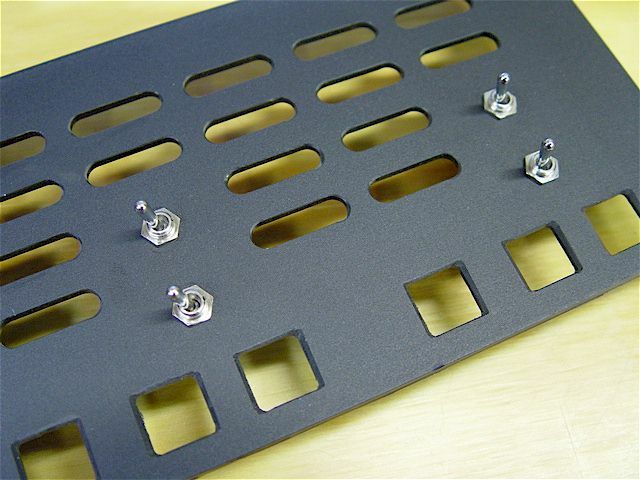 Note the addition of a guide plate on the back (or front) edge of the mounting plate. 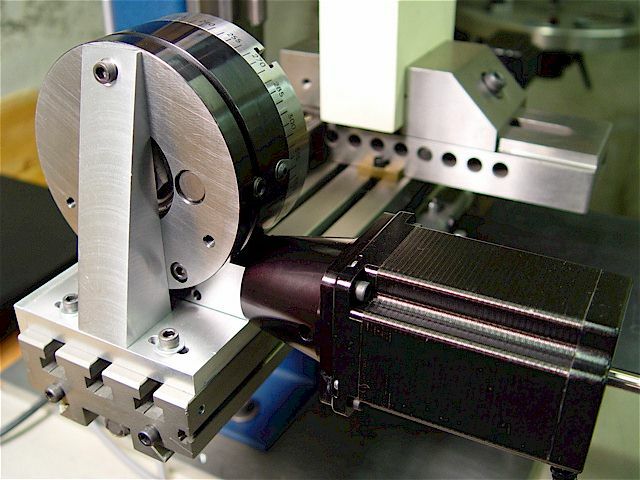 Sherline's super rigid/precise stepper-motor mount. 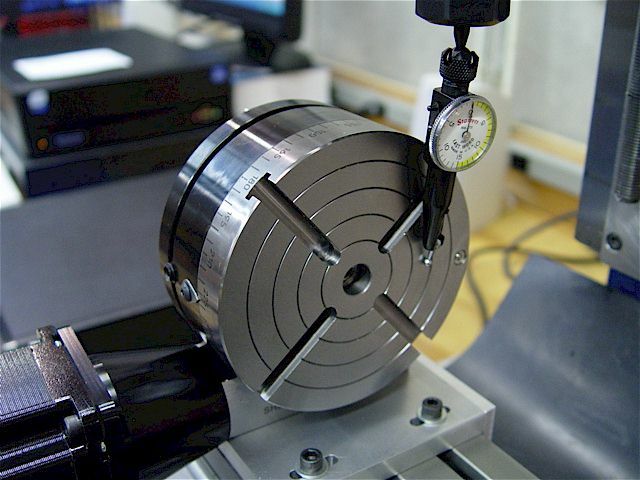 Indicate the rotary table face by performing adjustments both horizontally & vertically. the original, 10-hole design area. Original panel layout drawing. 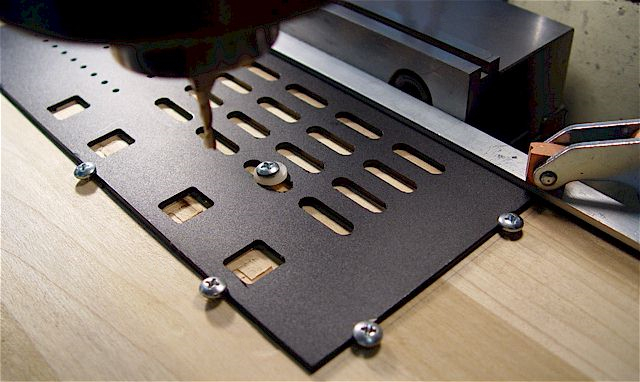 The pin out terminal strips pass through & can be directly connected to the PCB inside the case. Adding the breakout board opto-isolated these connections. Unpopulated, 4-axes stepper-motor controller PCB. Populated PCB. 4-40 threads were tapped for the heat-sink screws so no nuts were needed. Heat-sink compound was thinly applied to the driver chips. the 2KΩ bleeder-resistor circuit. 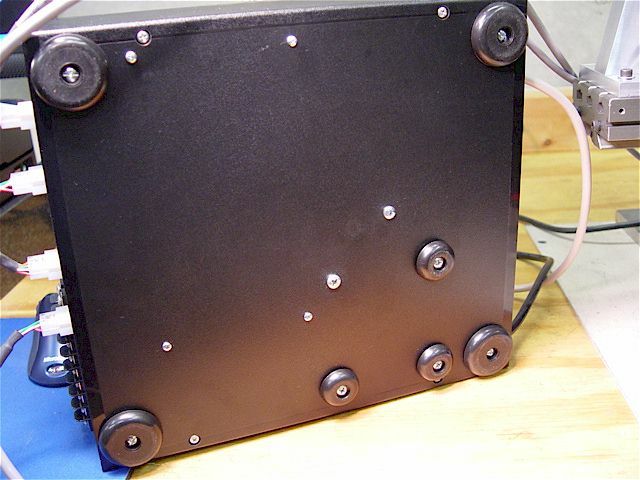 Molex receptacles are snapped into the enclosure's back panel. 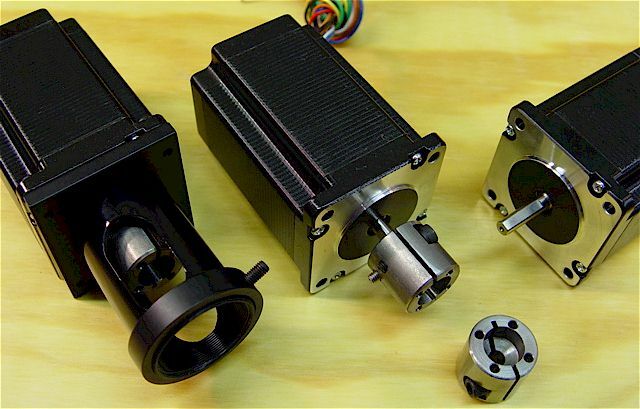 found that the stepper motors can loose some steps after powering-up from the idle-down state. When powered down, the green LED dims as the current bleeds off. It extinguishes in a few minutes. Extra rubber feet were attached directly to the 8-lb. 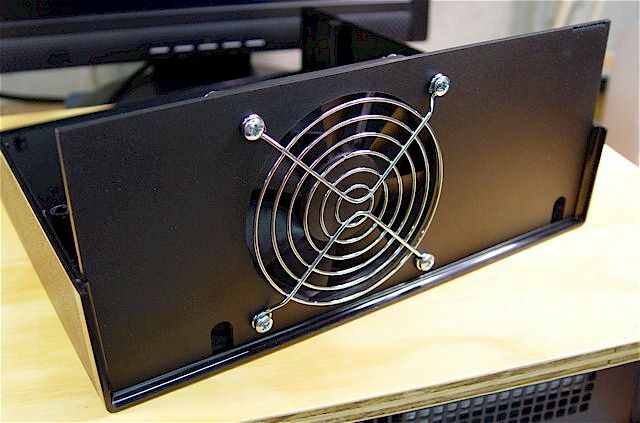 transformer mounts to eliminate any case distortion. The horizontal air vents have a nice look. 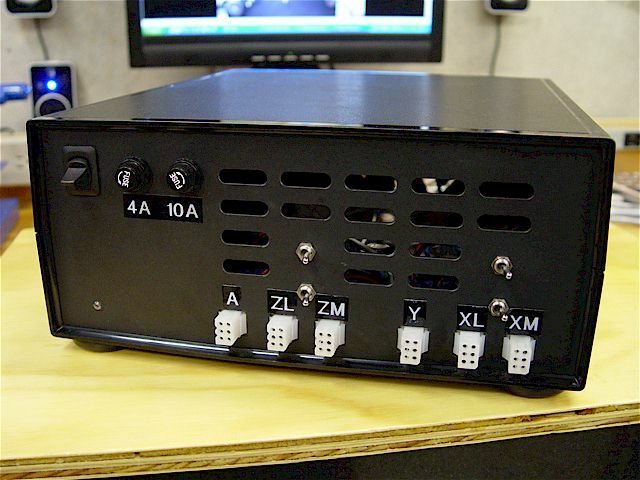 Mach3 I/O functions all of which are interfaced through the opto-isolated breakout board. in the redesigned panel. 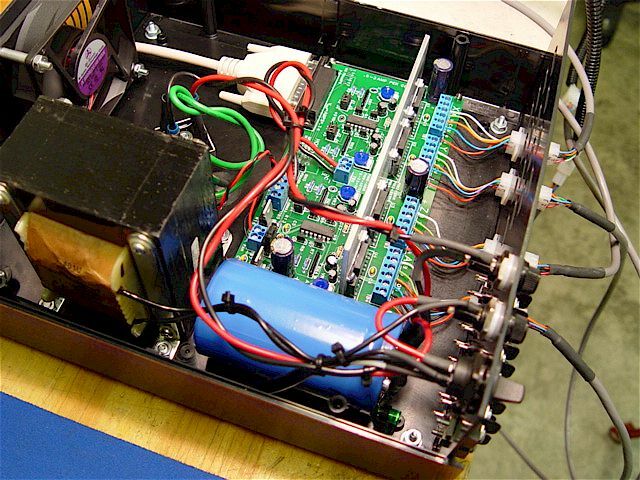 Below, note the strain relief clamp (lower right) where the power cord enters. 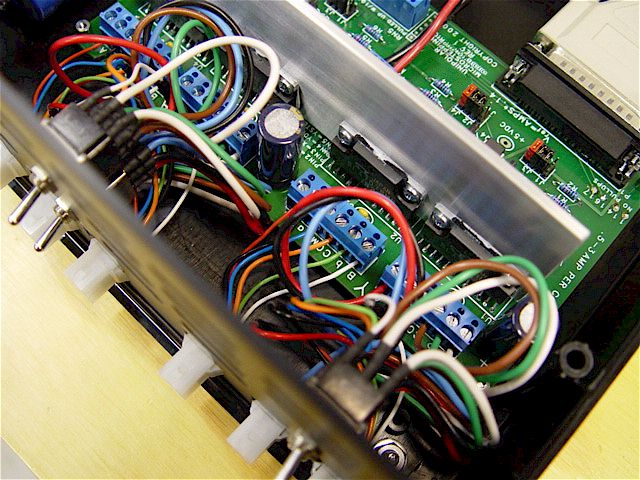 Redesigned & rewired stepper motor control panel to provide dual, switchable X & Z Axes outputs. New panel design with switched X & Z stepper outputs to control either the Taig Micro Lathe or Micro Mill. 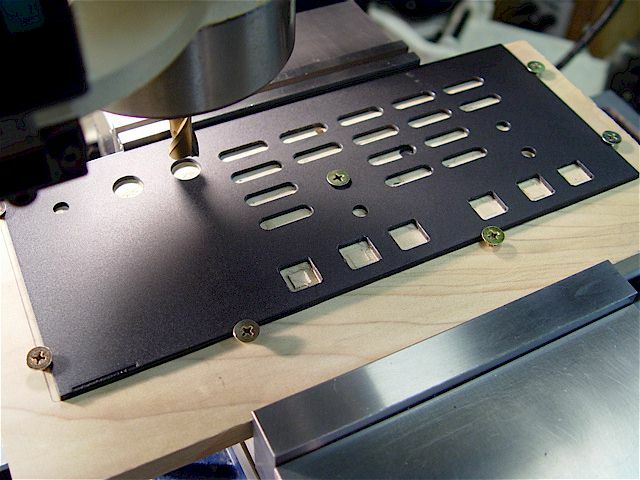 Drilled & tapped the milled wood base for multiple 10-32, 100 deg, flathead screws, to hold the plastic panel. 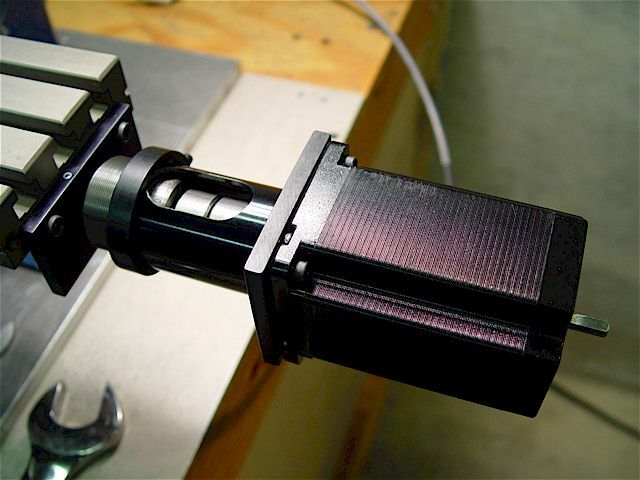 The top of the panel aligns against the vise's solid jaw. 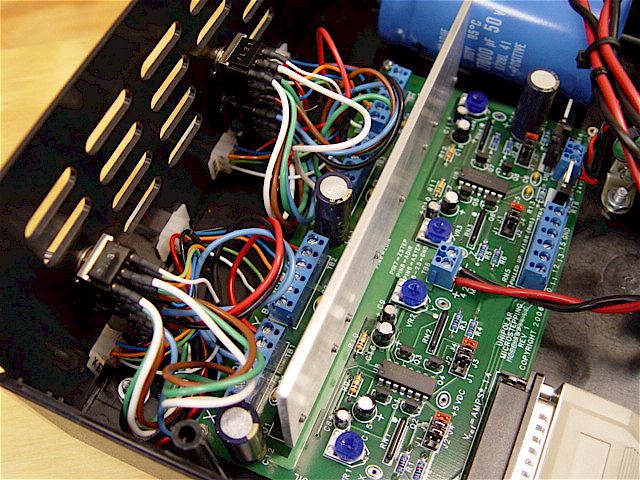 For each axis (X & Z) two, 3PDT, 6A switches select the six stepper motor wires between output sockets. 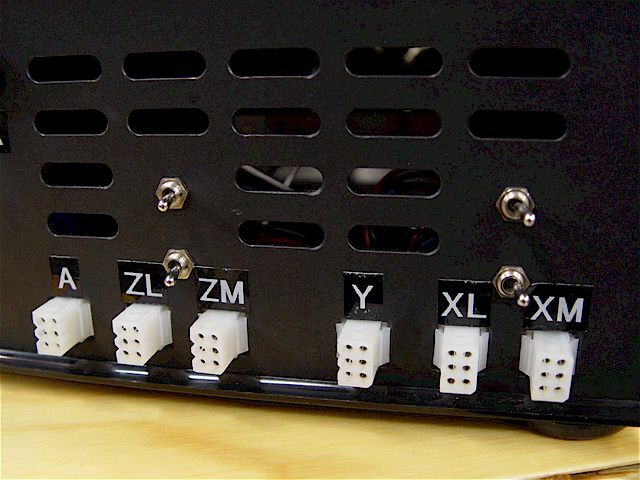 banks of switched contacts are connected to the Molex socket pins. Switching schematic. 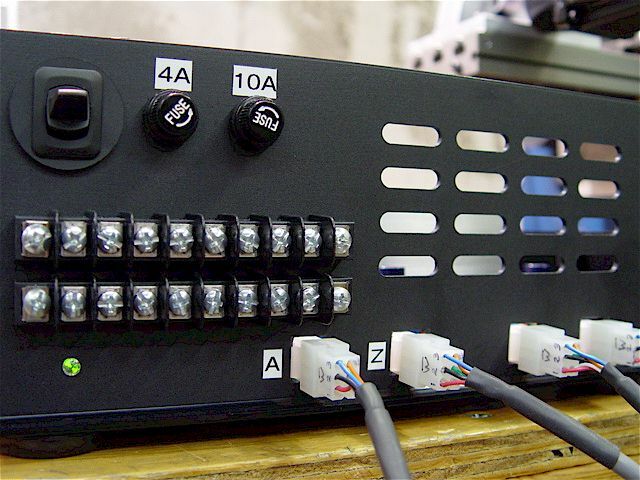 Left & right side switch wires loop over to right & left sockets to keep the front panel toggle positions correct. 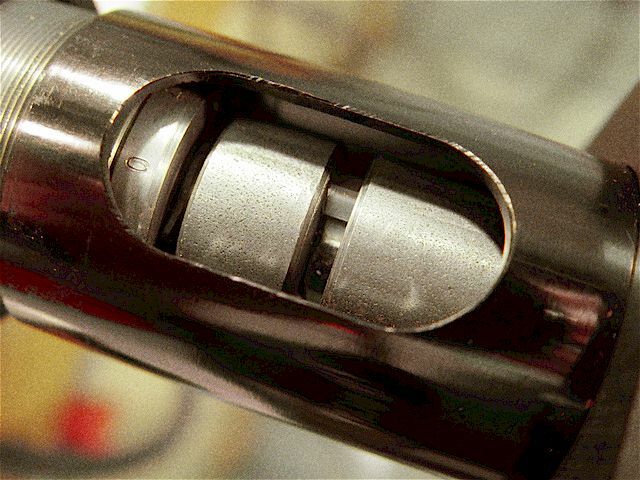 Four, switch-lever positions are thrown either left towards the Lathe (ZL & XL) or right towards the Mill (ZM & XM). Not coincidentally, the lathe is on the left side of the bench & the mill is on the right side of the bench, too. WARNING: DO NOT SWITCH MOTORS CIRCUITS WHEN THE POWER IS ON. TURN SYSTEM OFF THEN WAIT A MINIMUM OF 3 MINUTES BEFORE SWITCHING MOTORS. 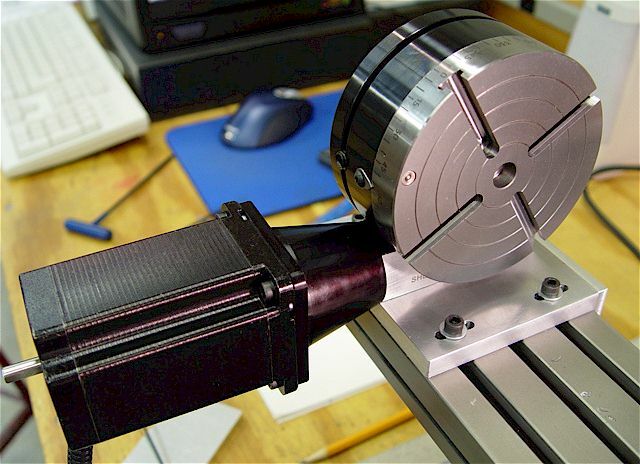 The lathe uses 3A motors, same as the mill, so all stepper board amperage settings are set at 0.42 VDC. 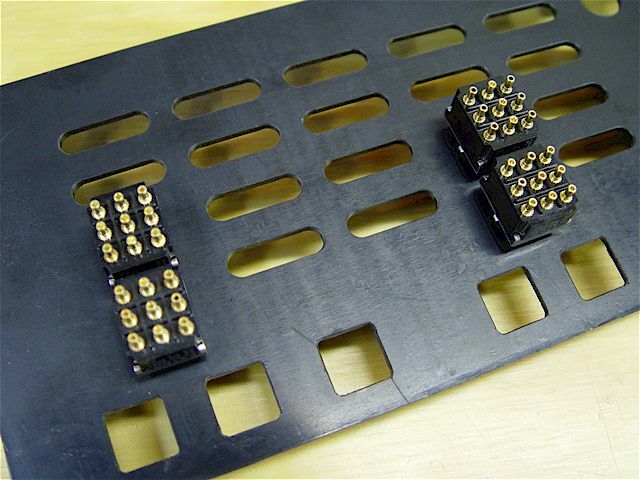 The new panel design has much tighter tolerances for the snap-in Molex sockets than the first design. 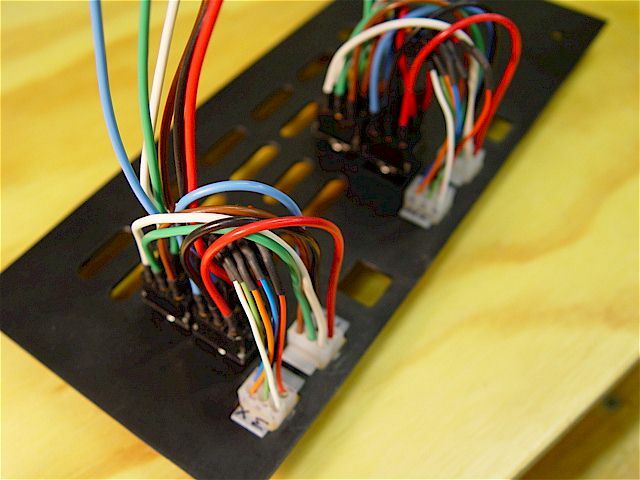 The eight motor wires are wired into six-pin, Molex sockets. 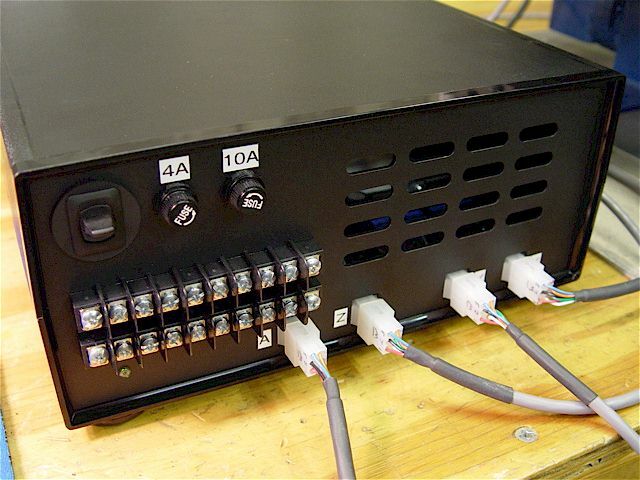 The cables are 18 gage. The Molex pins are both crimped & soldered. The wires were looped to ease installation.